How Can Coconut Oil Help You Fight Wrinkles? Coconut oil is mostly used for hair care and cooking purposes. But quite a few recent studies have revealed that the potent oil comes with some amazing dermatological benefits too. Being a natural ingredient with great anti-aging qualities, it can keep our skin youthful for long by removing wrinkles from the face including the eye area. In this article, we will tell you how coconut oil actually works against wrinkles and how it should be used for getting the best possible results. 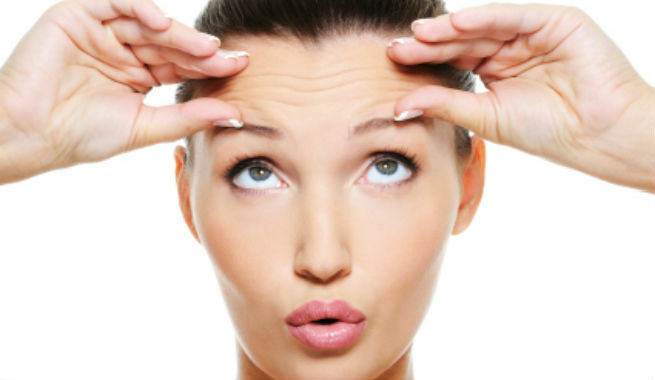 As we age, our skin experiences a lot of changes and wrinkle is the most common among them. In most of the cases, the fat tissues present under the innermost layer of the skin (dermis) shrinks with age, which turns the skin thinner. Moreover, our skin loses its capacity of self-repairing, which promotes wrinkles and makes us look older. Apart from the natural aging process, there are also various other causes lying behind the formation of wrinkles and similar symptoms of pre-mature aging on our face. Some of them include excessive sun exposure, heredity, habit smoking, wrong way of sleeping, lack of water in the body, and so on. How Does Coconut Oil Work Against Wrinkles? Coconut oil works as a natural collagen-booster. Collagen is nothing but a certain type of fibrous protein, which keeps our tissues connected so that our skin remains young and looks firmer for a long time. As we age, the production of collagen goes down in our body, thereby creating wrinkles throughout the skin. Coconut oil can facilitate the regeneration of collagen in our skin, which dries up the wrinkles effectively. Consequently, we get a clear and smooth skin. Coconut oil is an amazing natural source of potent antioxidants. It fights against harmful free radicals and provides protection to our skin from the damages caused by them. Free radicals are known to be responsible for premature aging, which results into symptoms like fine lines, wrinkles, age spots, and so on. Application of coconut oil can reduce the adverse of such oxidative molecules and make us look young and vibrant. Coconut oil is considered as one of the best natural moisturizing agents, which helps a lot in keeping our skin hydrated, thereby preventing the formation of wrinkles and creases. It has been found that regular massage of this oil into the skin can make wrinkles invisible gradually by turning the skin cells plumper. Moreover, it also keeps the skin soft and supple to prevent further development of wrinkles. A squeaky clean skin will absorb coconut oil better than one loaded with makeup, oil or even dirt. So, start with cleansing your skin properly. Remove all your makeup with a good quality makeup remover and then, make use of a gentle cleanser for the cleansing purpose. Once you are done with the cleansing part, rinse your skin off with some fresh cold water. Now, your skin is ready to absorb the moisture provided by coconut oil instantly. Clean and wash your hands thoroughly as you are going to apply the oil to your skin only with your fingers. Now, take some virgin coconut oil (make sure that it is 100% pure and contains at least 40% lauric acid) onto your palm and apply it all over your skin, focusing on the wrinkled areas. Massage the oil into the skin gently by using your fingertips and following small circular motion. Continue the massage unless and until the oil gets absorbed by the skin completely. 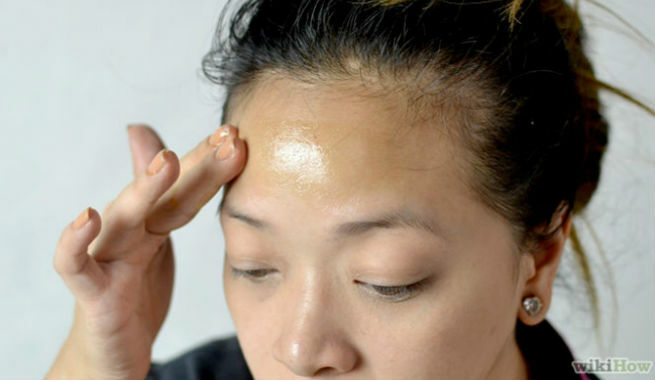 It is recommended that you do this coconut oil wrinkle treatment at night before going to bed so that you can leave your skin slathered with coconut oil overnight and allow it to go deep into the cells for better results. Next morning, splash your skin with lukewarm water to get rid of excess coconut oil. This will keep just the right amount of oil into your cells and keep your skin hydrated for the entire day. Pat your skin dry with a clean, dry and soft towel. 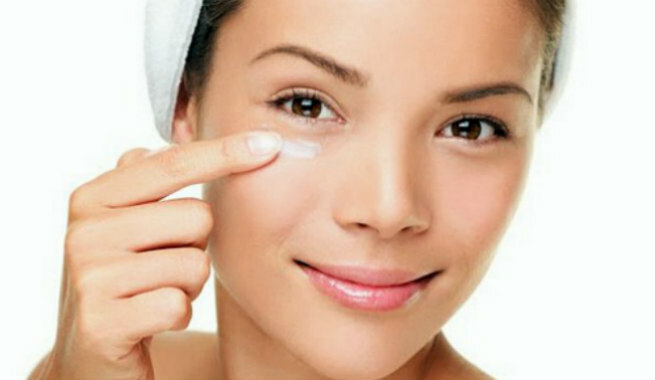 Finally, apply your regular moisturize or day cream generously all over your skin and you are good to go. Isn’t the whole procedure easy and simple enough? It is quite effective as well. So, start using coconut oil from today and fight against wrinkles successfully.